Although the Anonymous 4 have been singing for over 25 years, to hear them is to experience what feels like centuries more. 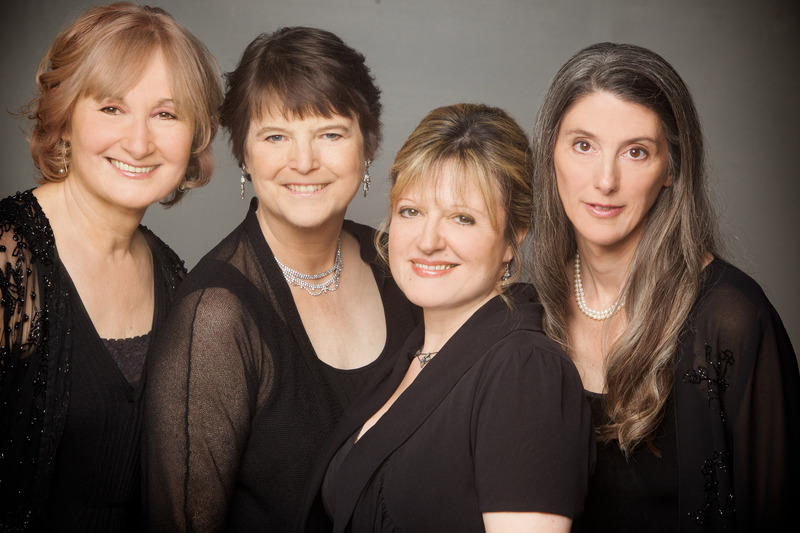 The current lineup of this all-female vocal quartet (two of its original members have moved on to other projects) consists of Ruth Cunningham, Marsha Genensky, Susan Hellauer, and Jacqueline Horner-Kwiatek, who together presented “Marie-Marion: Motets & Songs from 13th-century France” to a packed Sage Chapel audience last Friday night. Motets formed the bulk of the program, each built around Old French and occasionally Latin texts. The latter were mostly dedicated to Marie (the Virgin Mary), who along with an earthly counterpart, Marion, was the main protagonist of the evening’s dedications. The presence of both Marie and Marion made for a creative pastiche of the divine and amorous. The singers augmented this with a selection of plainchant standards and solo renditions of the trouvère (troubadour) love songs to which the grander settings often alluded. Fans of the Anonymous 4 will be familiar with their classic Love’s Illusion. While in that program the focus was on courtly love, here a deft mash-up of sacred and secular themes formed the backbone of a dramatic and sometimes-prurient corpus. The motets were complex in their own right, with two or three voices singing from entirely separate texts over a wordless “tenor” line. The selections came from the Montpellier Codex, compiled in the south of France circa 1300. Paring its 315 motets down to an hour-long “best of” was certainly no easy task, but the end result was nonetheless intuitive and sure. The flowing nature of the program was such that parsing of individual pieces seemed as unnecessary then as it does now. Moods ranged from forlorn to joyful, but were always flavorsome. If any distinction can be made, it is that the most secular passages were often also the most restless. Staggered rhythms and the occasional unexpected change in pitch attested to the singers’ sparkle of execution amid a landscape of maidens, shepherds, and holy visions. The concert culminated in a final juxtaposition of the two “Marys,” who came to represent the fullness of consciousness, the depth and shallowness of human concern in the forest of life. For indeed, the Anonymous 4 achieved a verdant sound. Their blends, at moments uncanny, allowed single voices to rise and fall with the tide, so that the ringing qualities of each could shine through. Of those qualities we heard plenty in the solo chansons: Cunningham’s roundedness; Hellauer’s sweeter, raspier blush; Genensky’s sharper, earthy tone; and Horner-Kwiatek’s fair, supple lilt. In each was the flutter of a genuine medieval heart. We might compare these ancient settings to contemporary popular songs, for in them were brief, simple introductions, engaging riffs and satisfying conclusions. That being said, we must remember that the motets especially were considered avant-garde for the time(s) in which they were composed. Either way, it is refreshing to know that one can still be privy to such splendor in concert, navigating its mazes as if they were our own, held only to the standard of our adoration, unadorned. Keeping true to their name, the talented songstresses of Anonymous 4 presented melodies without discernible authors, a dynamic that might seem as distant from us in this age of intellectual property as the Old French in which much of this music was sung. Whatever the language, we could not help but be fascinated.